Dr. Steckelberg received her Doctorate of Audiology in 2007 from Central Michigan University. 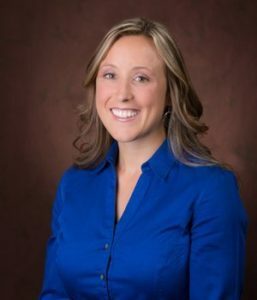 She is Board-Certified by the American Board of Audiology, licensed by the state of Minnesota, and holds a Certificate of Clinical Competence (CCC-A) from the America Speech Language and Hearing Association. She provides services in hearing testing, balance assessment, hearing aid evaluations, including bone anchored hearing aids (BAHA) and cochlear implants. Dr. Steckelberg joined St. Cloud Ear, Nose and Throat in 2007 and sees patients in St. Cloud and Sauk Centre.